A lightning conductor appears as a musical conductor for the cloud cover. 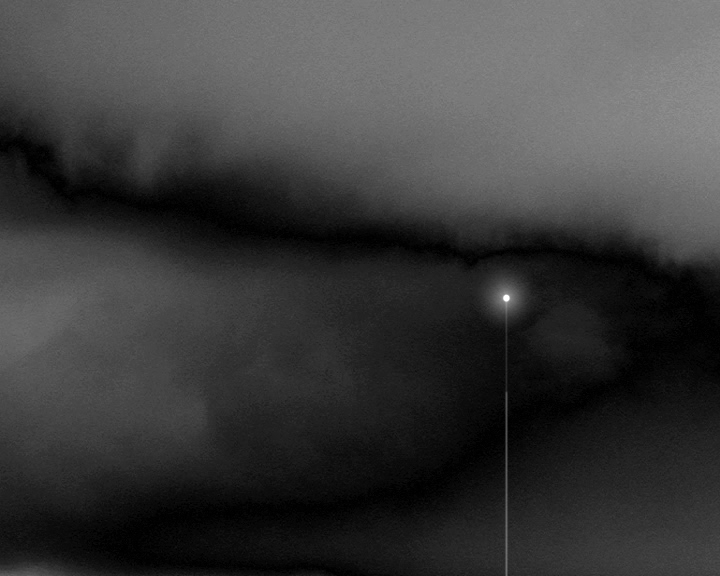 At the core of an increasingly threatening blaze of fire and a whistling wind, a minuscule light has final call, until the violence of heaven discharges abruptly and the lightning conductor throws it all off-screen. This video was made in the framework of title safe II, a project by Walter Verdin in which he invites artists to make a short video with 125bpm as a rhythmic rule.